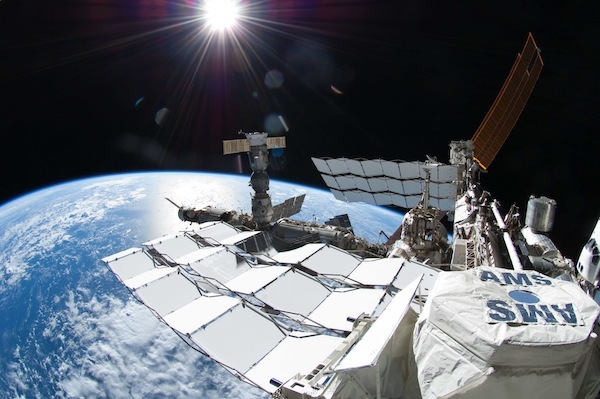 An instrument capable of cooling matter to a smidgen above absolute zero is being readied for launch to the International Space Station, possibly uncovering new physics and answering some of our biggest cosmological questions. At a temperature of a billionth of a degree above absolute zero, CAL will investigate a state of matter that cannot exist in nature. This strange state is known as a Bose-Einstein condensate (or BEC), which possesses qualities that, quite frankly, don’t make a lot of sense. When a gas is sufficiently cooled and the subatomic particles (bosons) drop to their lowest energy state, “normal” physics start to break down and quantum mechanics — the physics that governs the smallest scales — starts to manifest itself throughout a material (on a macroscopic scale). When this occurs, a BEC is possible. And it’s weird. BECs act as a “superfluid,” which means it has zero viscosity. Early experiments on supercooled helium-4 exhibited this trait, causing confusion at the time when this mysterious fluid was observed flowing up, against the force of gravity, and over the sides of its containing beaker. Now we are able to cool gases to sufficiently low temperatures, this superfluid trait dominates and gases move as one, apparently coherent, mass. So far, BEC experiments have only been carried out in a gravitational environment and can only be observed for a very short period of time as gravity continually pulls the BEC particles to the bottom of its container, thereby limiting its stability. But remove gravity from the equation and we enter a brand new observational regime with the potential for brand new insights to fundamental physics, and this is why NASA built CAL — humanity’s first microgravity BEC laboratory that could unlock some of the universe’s biggest mysteries. 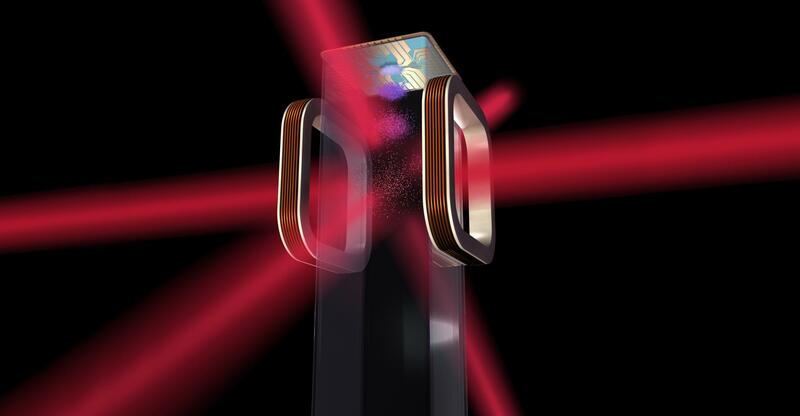 It is hoped that BECs will be observable inside CAL for five to twenty seconds and the ultra-low temperature technologies developed will allow for future experiments that could contain stable BECs for hundreds of times longer. CAL isn’t a pure physics curiosity, even if it is pretty awesome just to observe quantum physics manifest itself across an entire mass of particles (in free-fall, no less). Producing stable BECs could have technical applications, such as in quantum computer development and improving the precision of quantum clocks. In addition, creating a stable BEC in a lab setting could, quite literally, give us new eyes on fundamental universal mysteries. Lower temperatures means more stability and more stability means boosted sensor precision. Astronomy is all about precision, so the spin-off technologies from the techniques developed in CAL could usher in a new generation of ultra-sensitive telescopes and detectors that could, ultimately, reveal the mechanisms behind dark energy and dark matter. “Like a new lens in Galileo’s first telescope, the ultra-sensitive cold atoms in the Cold Atom Lab have the potential to unlock many mysteries beyond the frontiers of known physics,” said Kamal Oudrhiri, CAL deputy project manager also at JPL. CAL is set for launch on a SpaceX resupply mission to the International Space Station in August and I can’t wait to see what new physics the instrument might uncover. *Assuming there are no other intelligent lifeforms also playing with supercooled matter elsewhere in the universe, of course. This month is Global Astronomy Month (GAM2013) organized by my friends Astronomers Without Borders (AWB). There is a whole host of events going on right this moment to boost astronomy throughout the international community, and as a part of GAM2013, AWB are hosting daily blogs from guest astronomers, writers, physicists and others with a background in space. Today (April 11) was my turn, so I wrote a blog about the fascinating first results to be announced on the International Space Station instrument the Alpha Magnetic Spectrometer — or AMS for short. Although the AMS’ most recent findings suggest positrons with a signature energy indicative of the annihilation of dark matter — particularly hypothetical weakly interaction massive particles (WIMPS) — it isn’t final proof of dark matter (despite what the tabloid press might’ve told you). But still, it’s exciting and another component of our enduring search for 95.1% of the mass-energy of the universe that is locked in the mysterious and perplexing dark matter and dark energy. Author Ian O'NeillPosted on June 17, 2008 Categories Dark Matter, Solar Physics6 Comments on Is the Sun a Dark Matter Factory?